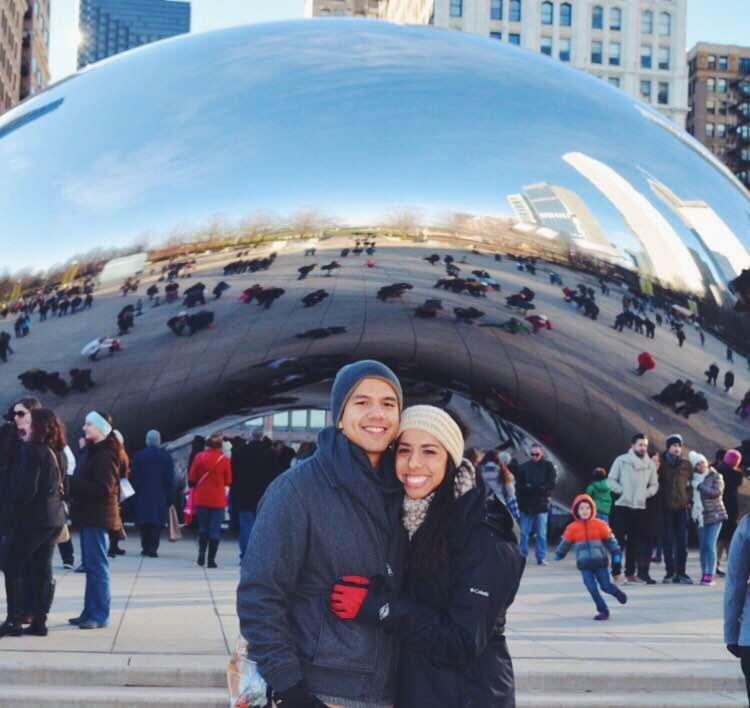 Last week marked Eric and I’s one year in Chicago. That is crazy to me. We had dreamed of doing a big move to a new city after college. One that would challenge us, grow us, and let us adventure together, with new experiences and people. I can without a doubt say our move to this city has done that for us. It has been the best decision we could have made. Now don’t get me wrong, we definitely miss Texas, and of course, our family and friends. Also, very much miss real queso, breakfast tacos, and margs. In the end though, we had grown up in Texas our whole lives, and we knew it would always be there for us to go back to. Which we will one day! There has just been nothing comparable to taking a leap of faith, moving off on our own – where we’d know almost no one – and making something out of it. Something that was ours. All this being said, I couldn’t help but reflect on a few favorite memories from this last year in the Midwest. We’ve been pretty darn lucky to do life here with a group of amazing humans. Sharing some of the shenanigans below! Memorial Day Trolley // What’s the best way to show your visiting BFFs around town? 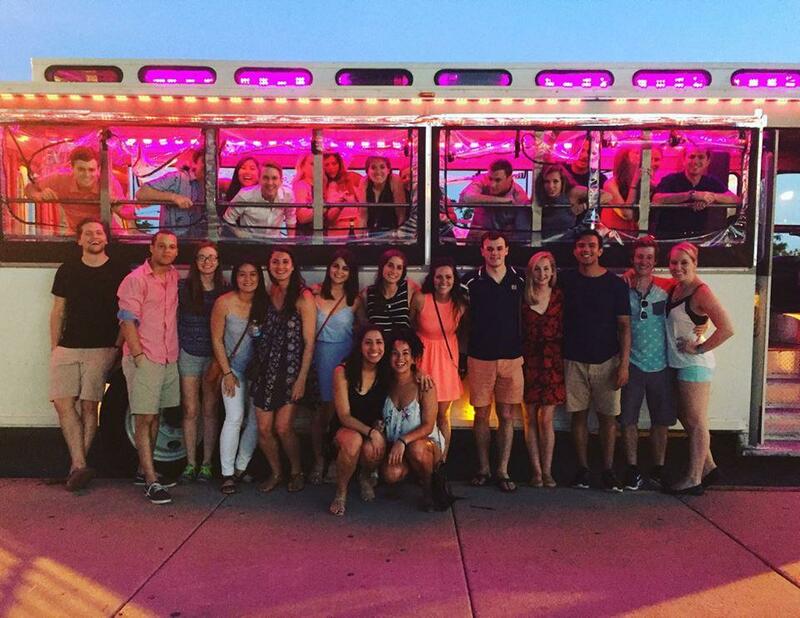 Gather good drinks, jams, and friends for a night of sightseeing via light up trolley. Beach Volleyball // Playing volleyball not only lets me pretend I’m a cool athlete, it also offers a killer view of downtown. Same with runs along the lake. I love getting to enjoy the ah-mazing weather and pretend I’m on vacation, all while staring at the skyscrapers. Michigan & Wisconsin Getaways // E & I love to travel. A big motivation to moving was all the new places we’d have the chance to visit. 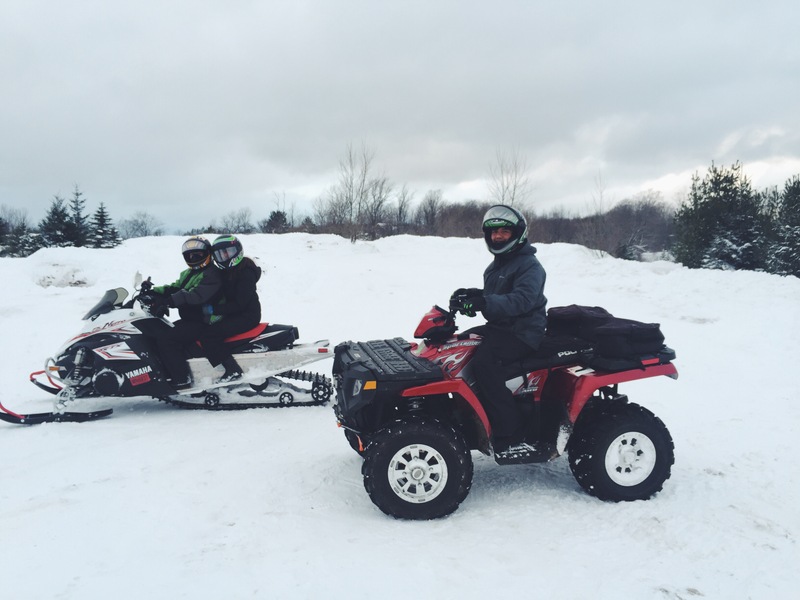 In January, we headed to a cabin with friends in Charlevoix, MI – so much snow. In July, Eric and I took a weekend trip to Madison, WI – so much cheese. Both so fun. F O O D // Just like all of it. I’ve consumed more Thai in this last year than in my whole life – so many good options. Basically every sushi place is BYOB. I’ve got my favorite neighborhood pizza place. 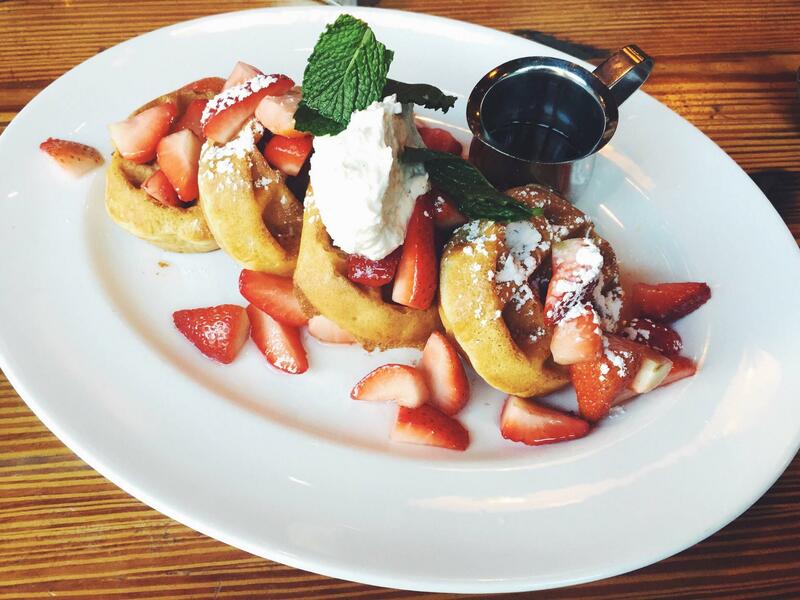 Did someone say brunch? Always down to add a place to my long list of faves. Go Cubs Go // It is impossible not to get caught up in the Cubs fandom up here. 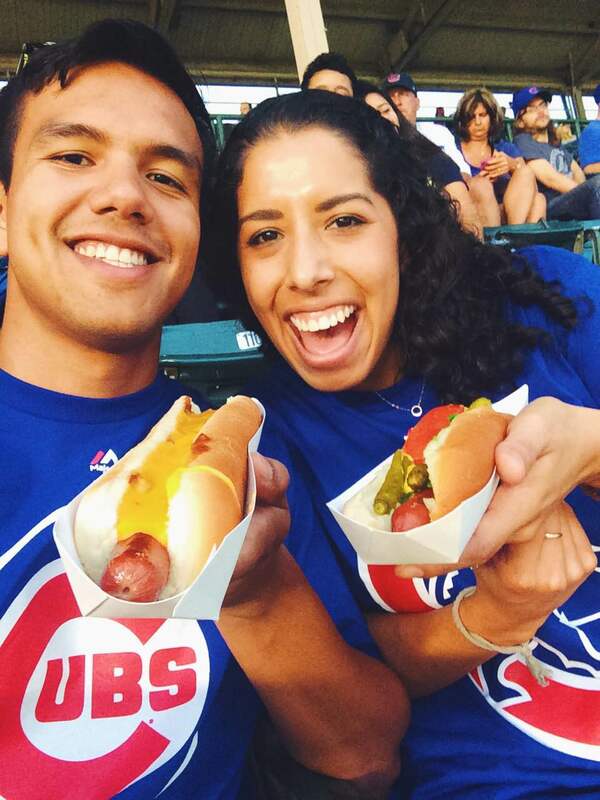 We love going to the games and eating foot long hot dogs and chanting along like we’ve been around the whole time. But seriously, it’s fun being a Cubs fan, and last season we got to see them go far. St.Patty’s Day // Did you know St. Patrick’s Day is a holiday here? Not legally I guess, but basically. 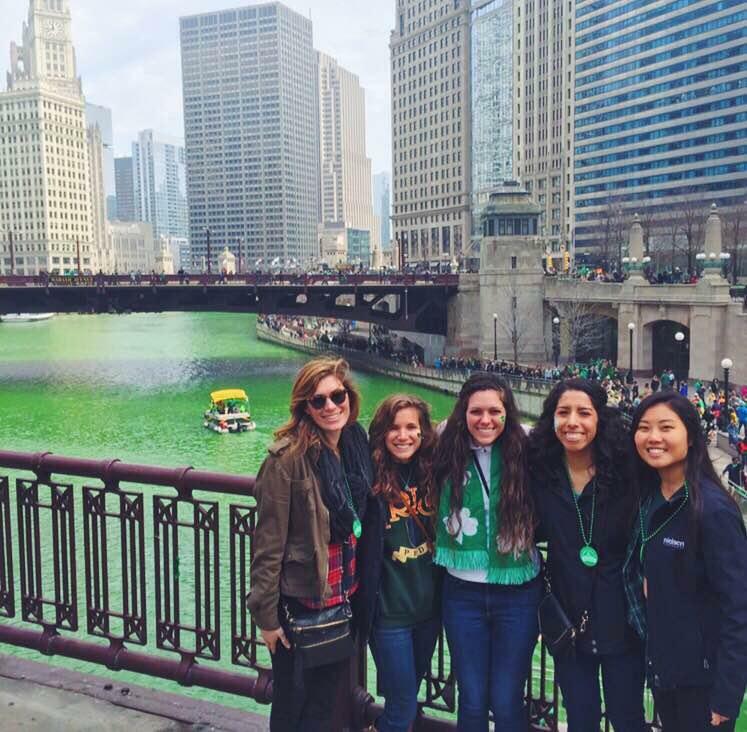 The day is famous in the city for turning the river green. 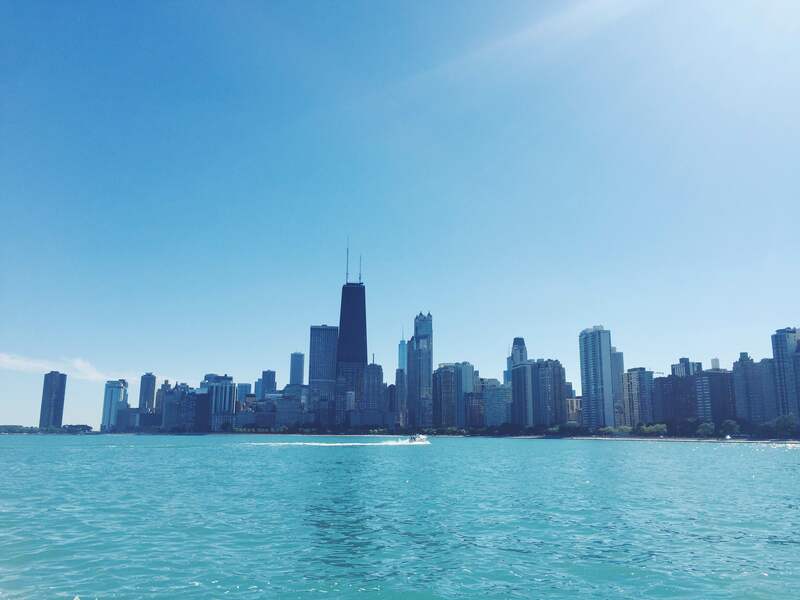 Sailing // We always see boats on Lake Michigan and think to ourselves we’ve really got to find a friend with a boat. We haven’t yet – but we have a friend with a friend with a boat. 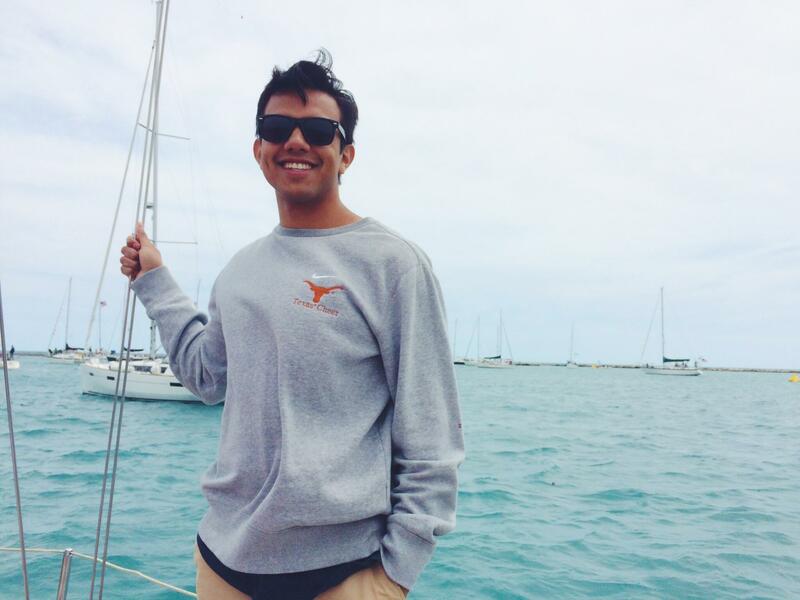 That led to spending a lovely day on the water to watch some intense sailing races. Living with Bex // Honestly you guys, without Becca this last year would have been a struggle. Her, E, and I became three peas in a pod and took on the city together. Forever thankful for this friendship. Tip for moving to a new city where you know almost zero people: find a really awesome girl friend who will make you do bur-pees, but also suggest you frequent the corner 7/11 for pints of ice cream. Here’s us being ridiculous, per usual. Seriously, what a first year. Praising God for all these blessings. Through the good times, and in the tough, He’s taking care of us. 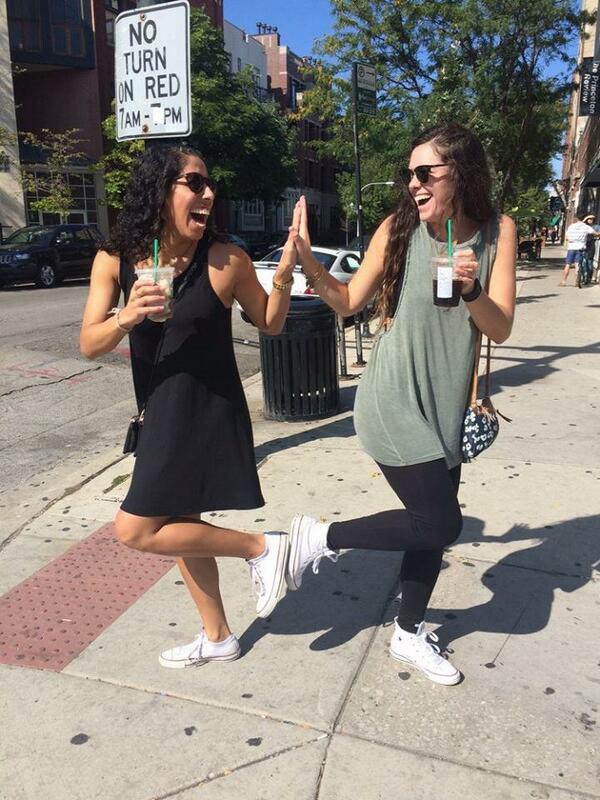 Cheers to us Chicago – bring it on year 2!